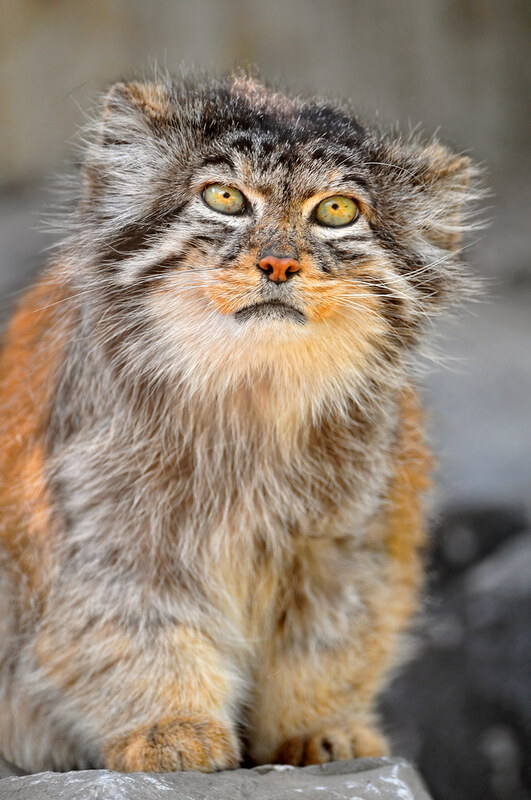 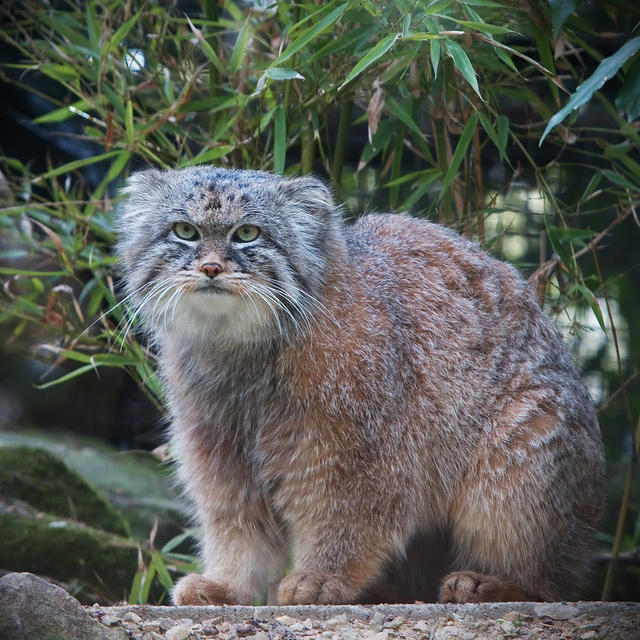 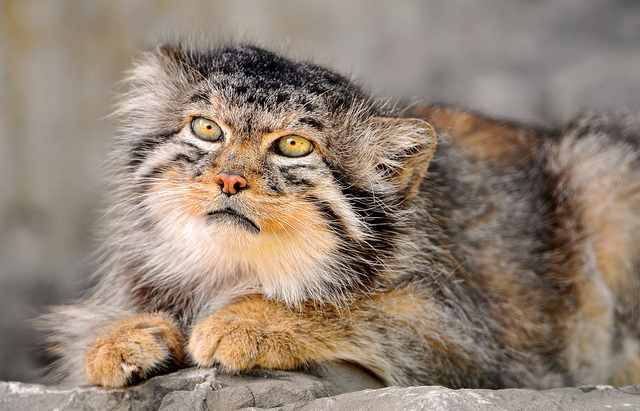 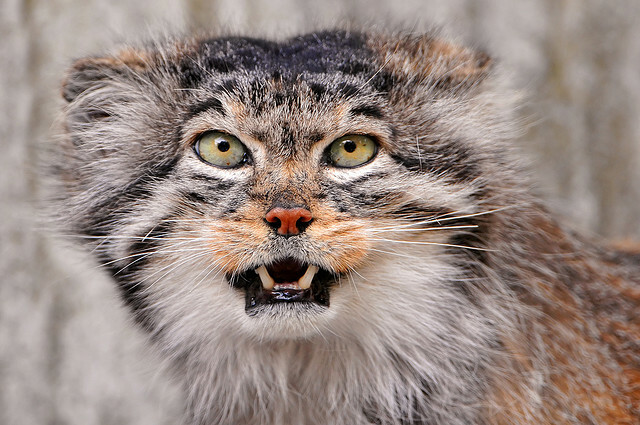 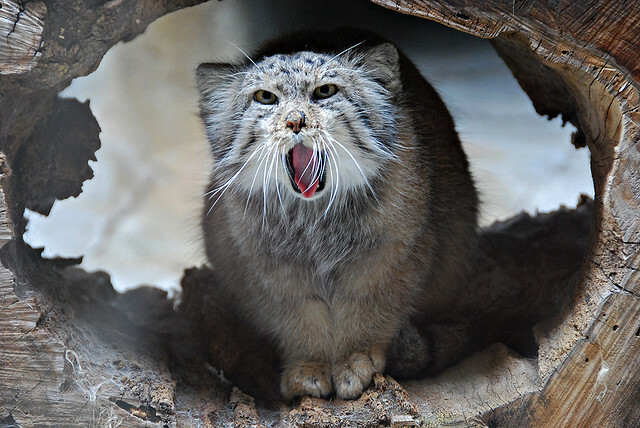 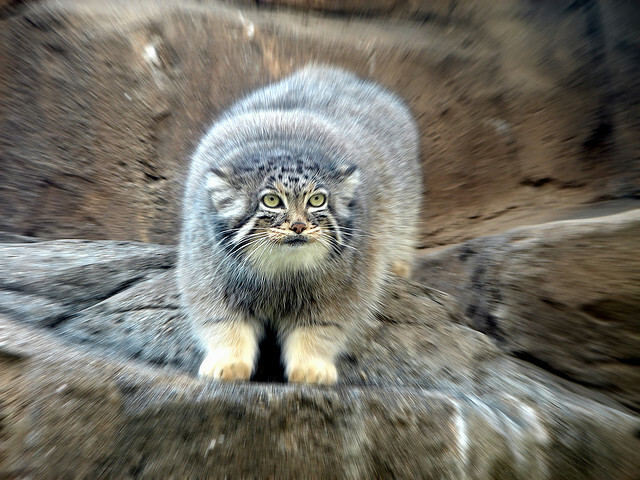 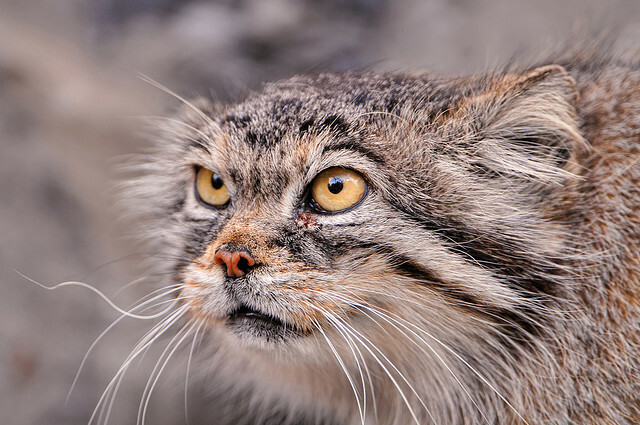 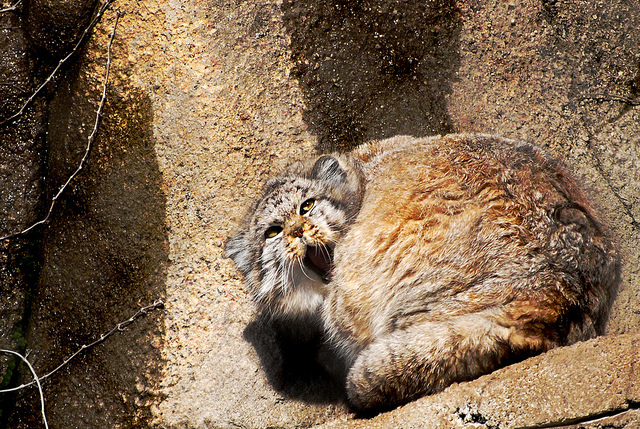 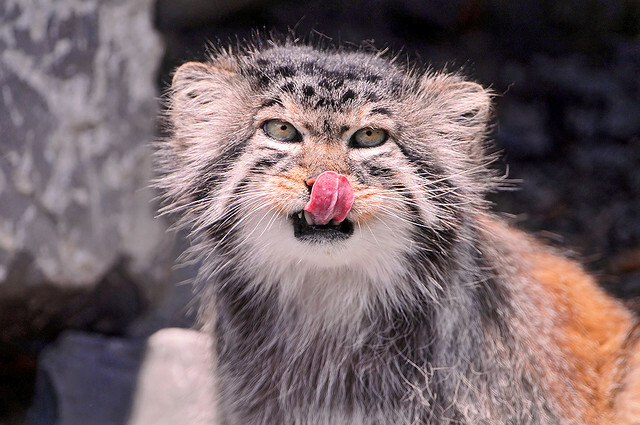 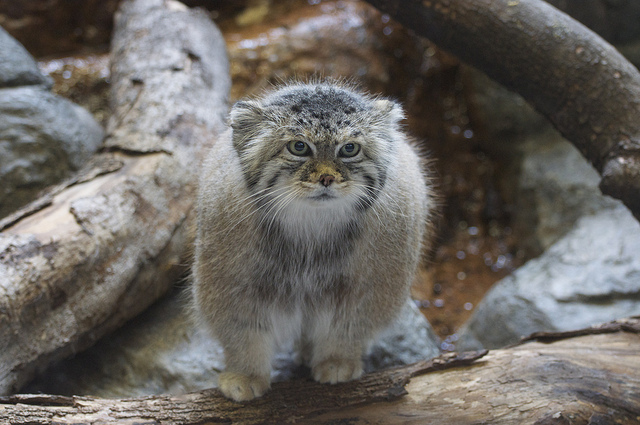 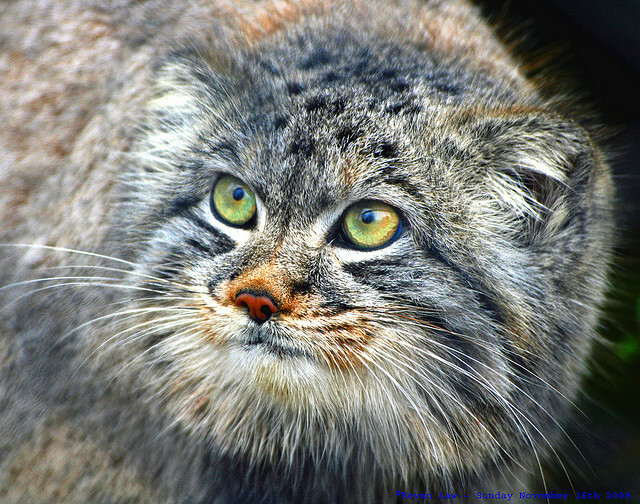 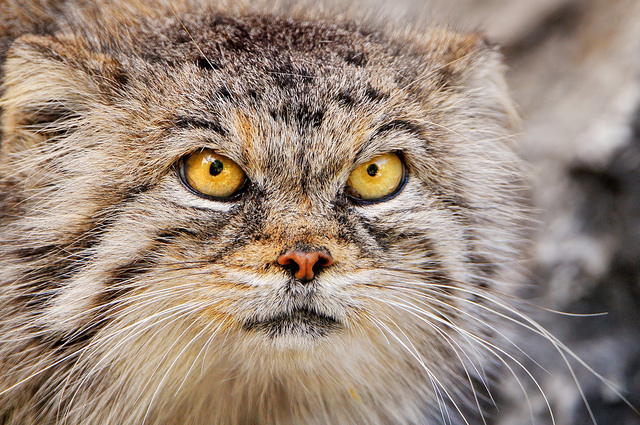 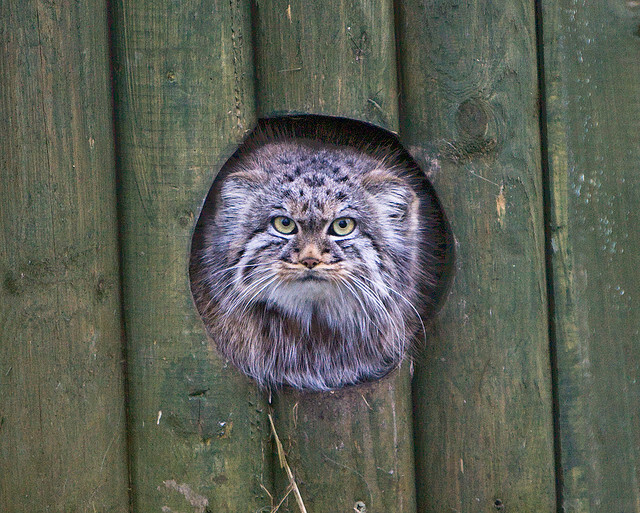 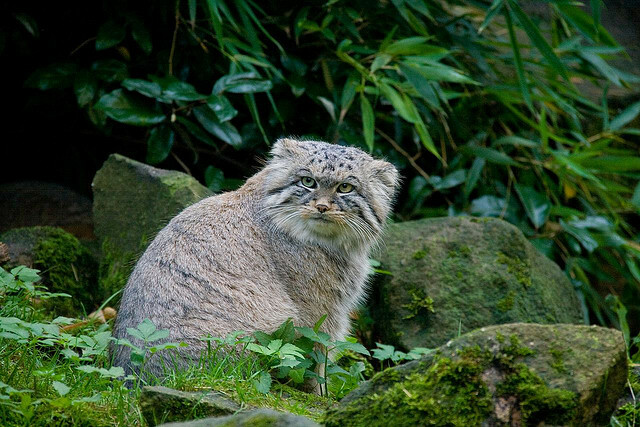 Although the Manul is only the size of the domestic cat, reaching about 26 inches in length its appearance makes it appear somewhat larger. 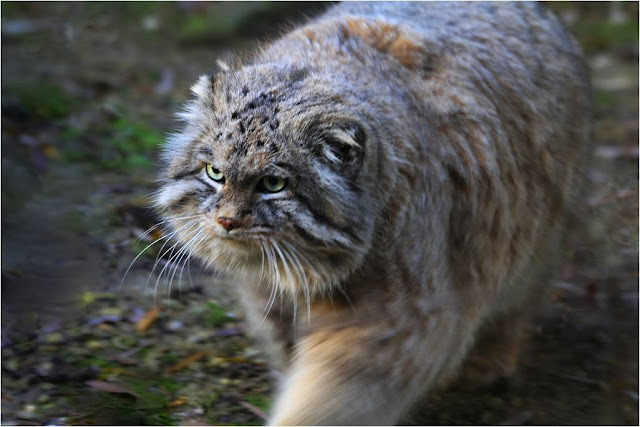 It is stocky and has very lengthy, thick fur, which gives it, perhaps to human eyes, an unintentional appearance of feline rotundity. 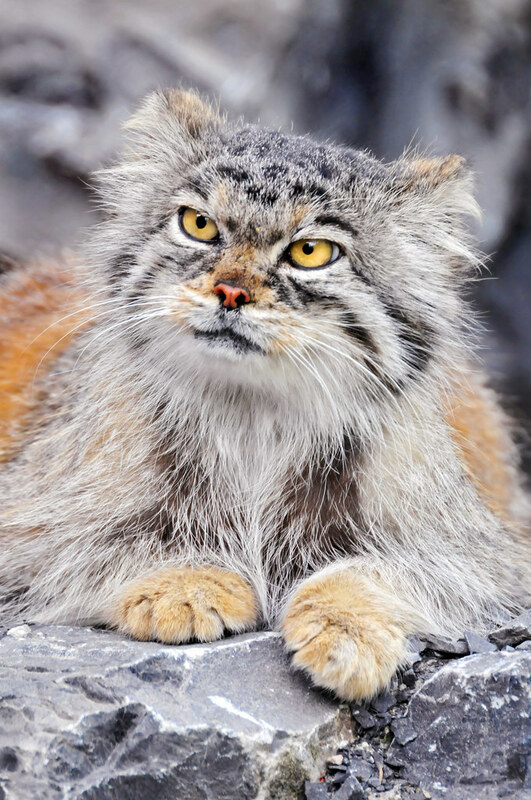 Yet although it appears stout and somewhat ungainly it has a natural elegance and poise – exactly what you would expect from the genus Felis in other words. 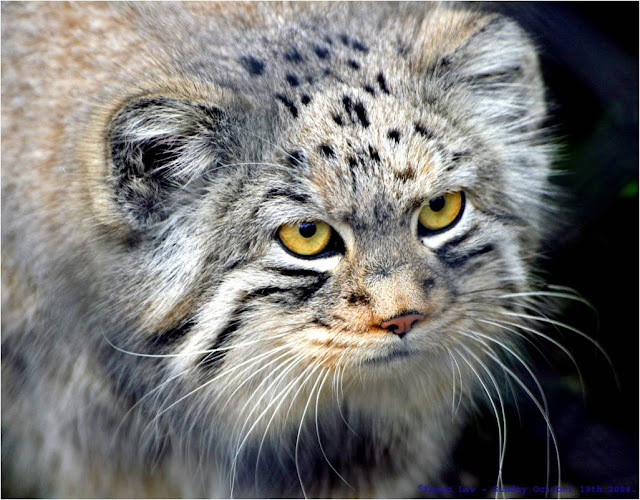 Plus it can certainly look after itself in a fight! 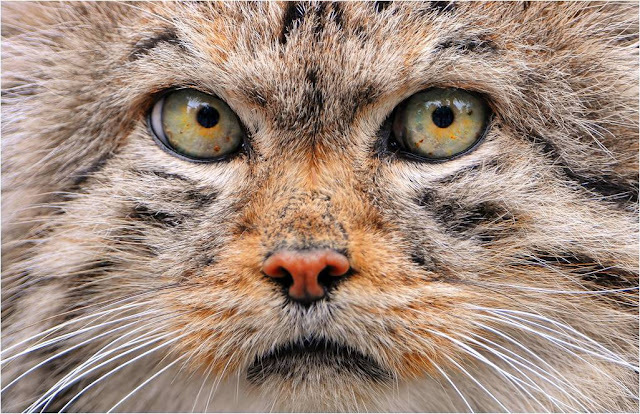 Yet as a living, breathing glimpse in to twelve million years of feline history these amazing animals are irreplaceable. 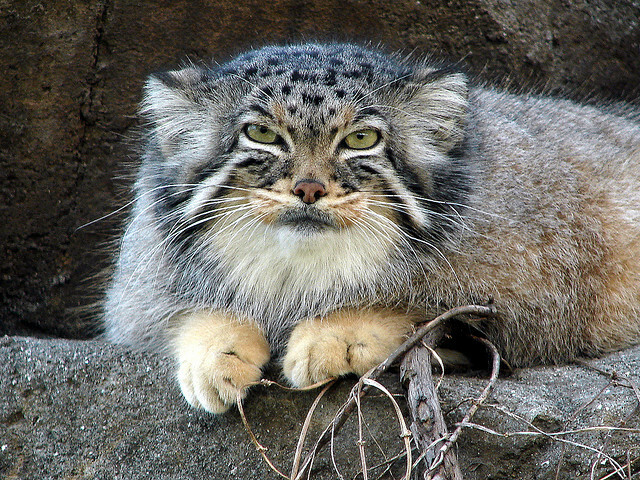 Unique is a word which, in this day and age, is mightily overused. 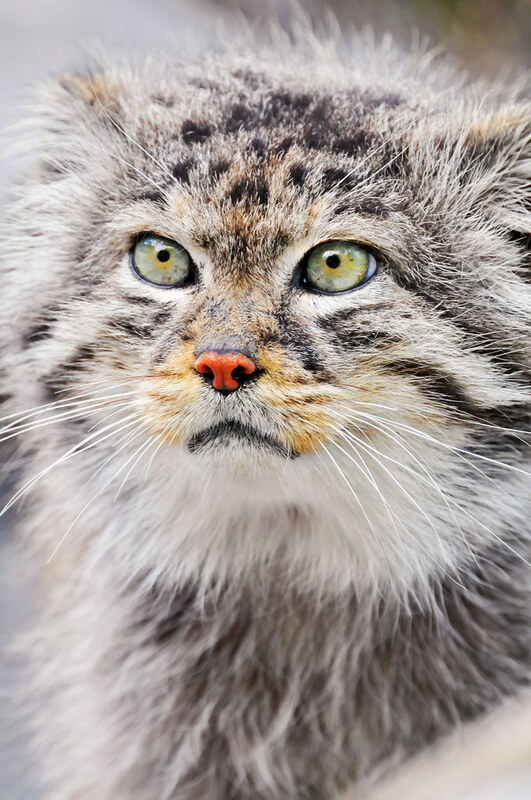 Yet these cats are quite simply just that – unique.